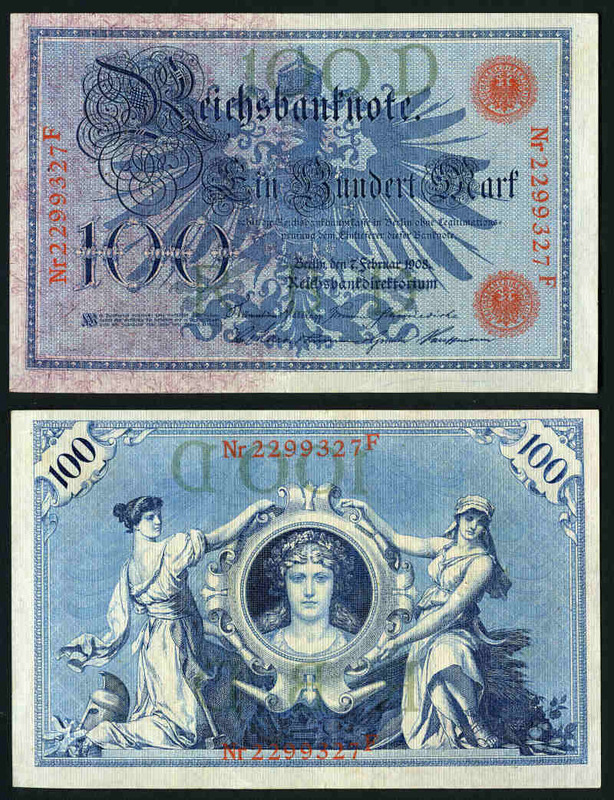 1903 100m VG, 1908 100m with 29mm serial no VG, 1910 1,000m with 7 digit serial no aUnc (5), 1920 10m with underprint letters VG, 1920 100m with 8 digit serial no VF (2) and aUnc (25), 1922 10,000m F (3), 1922 500m with Green 7 digit serial no F and 1922 50,000m with green tint at right F (3), VF/aUnc (7) and Unc (5), with some consecutive notes and some original bank bands. Krause 22, 33a, 45b, 67a, 69, 71, 74b and 79. Catalogue Value $602.00++. 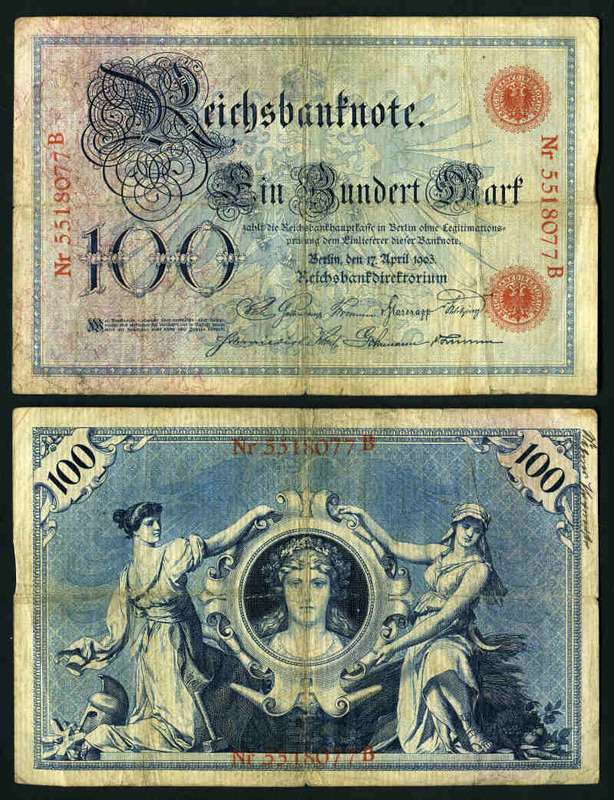 Also selection of 24 banknotes from other countries in mixed condition. 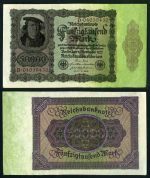 Collection of 442 Banknotes from a range of countries and periods including Ghana, Tanzania, Zimbabwe, Gambia, Singapore, Kenya, Nigeria, Zaire, Zambia, Malawi, Guyana, Hong Kong, Botswana, British Armed Forces and more. Main strength in modern Unc notes including some consecutive runs of 10. 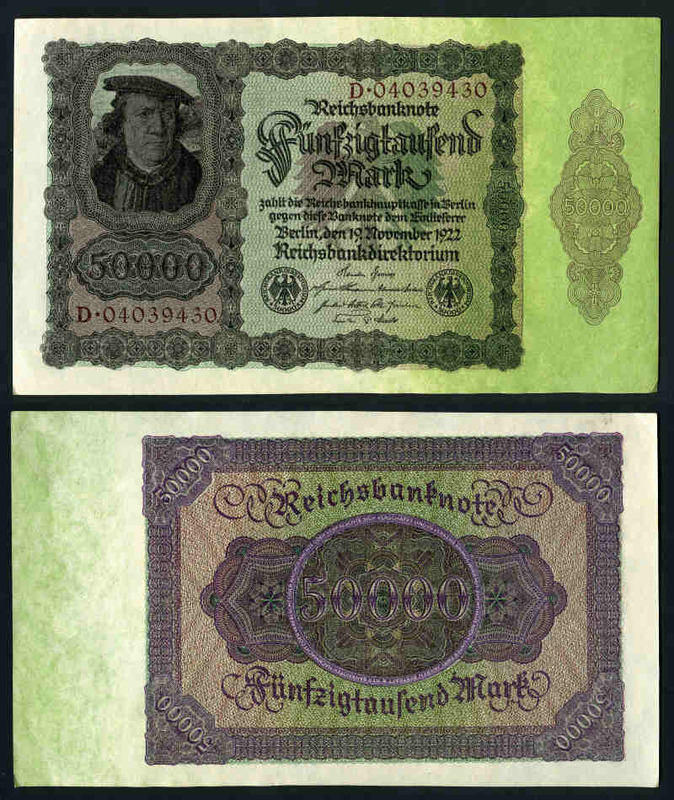 Collection of 878 Banknotes from a range of countries and periods, with main strength in post war European, South American and South East Asian countries in 7 albums. 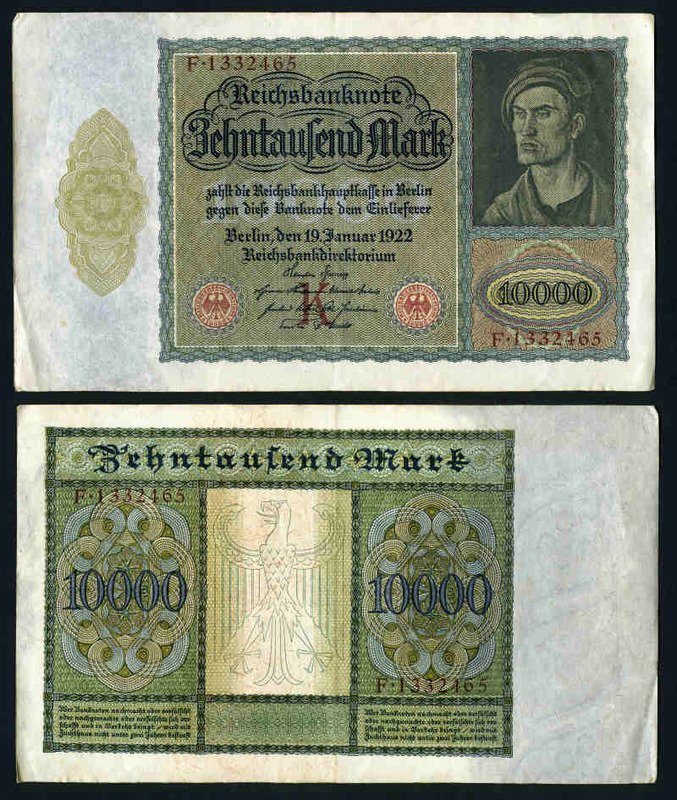 Variable condition, with some duplication and uncirculated content. 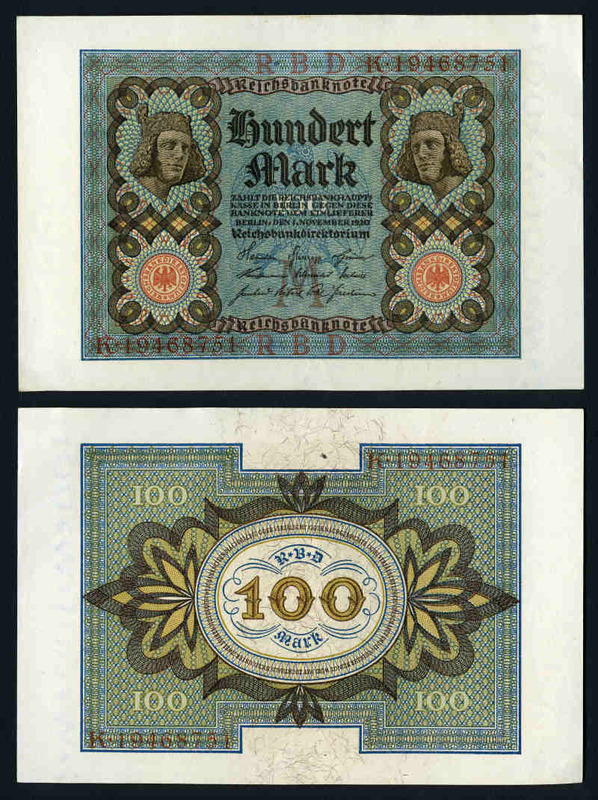 Krause Standard Catalogue of World Paper Money, General Issues, 1368 to 1960 10th edition in good condition. 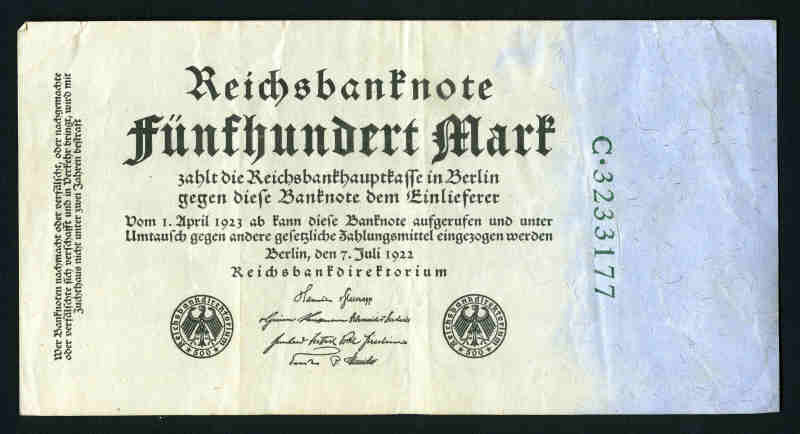 (Volume 2). 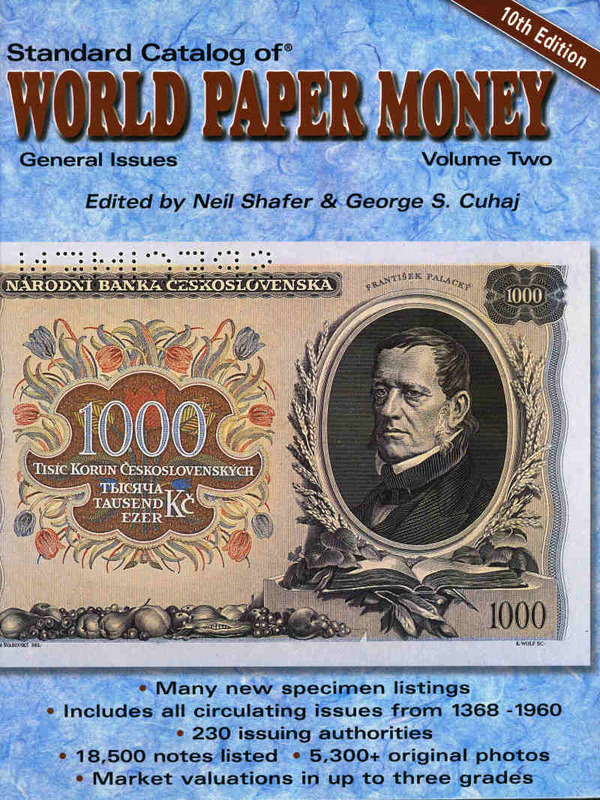 1,173 Pages, giving comprehensive priced listings of Banknotes from all issuing countries. Published in 2003.